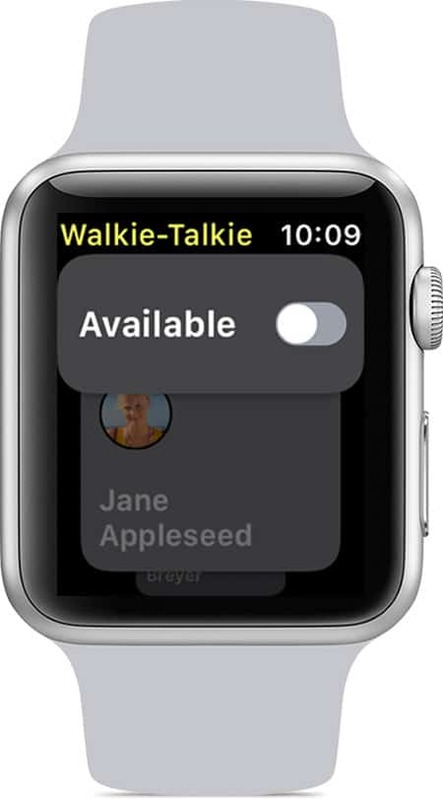 One of watchOS 5’s greatest features is the Walkie-Talkie. If you know other Apple Watch owners, you can just talk into your wrist, like in a 1950s secret agent TV show, and chat to other owners. It’s way better than have to make a phone call, because the chat is pushed. Imagine that you’re on vacation camping, or on a bike trip across country, or working in a large (but fairly quiet) job site. You can talk to people as if they are there next to you. And in one way this is better than a real Walkie-Talkie because it doesn’t use radio, there’s no limit to distance. You can chat to people on the other end of town, or the other side of the world. The Walkie-Talkie can be used on any Apple Watch, from Series 1 onwards. That’s a big deal, because you don’t need to upgrade just to use it. Thankfully, you can’t intrude on just anyone with your watch’s Walkie-Talkie. You first need to invite a contact to participate. 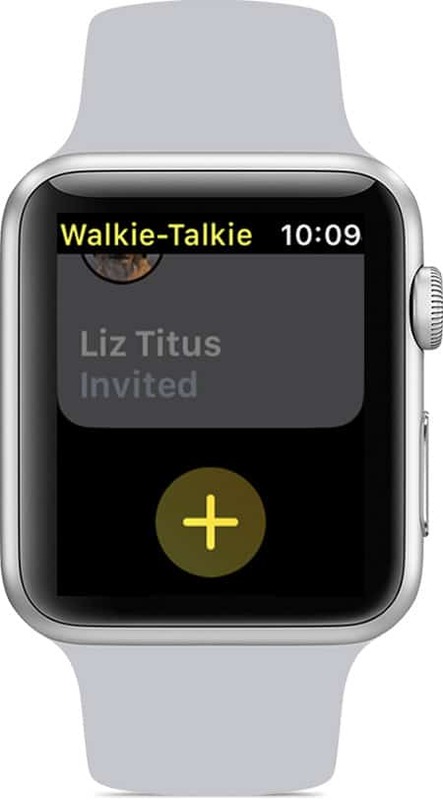 To invite a contact, open the Walkie-Talkie app on your Apple Watch, tap the yellow + icon, and choose a contact. Their contact card will be labeled invited, until they accept. When they do, their contact card turns yellow, and you can chat back and forth. To accept a Walkie-Talkie invitation, tap the notification, then tap Always Allow. To start a chat, open up the Walkie-Talkie app, then tap on the friend you want to talk to/harass/surprise. Tap and hold on the talk button, and while you’re holding, speak. When you let go, the message is sent. Walkie-Talkie doesn’t work live, like radio walkie talkies. Instead, it pushes voice messages, just like sending voice messages through the iMessage app. The difference is that the message is played automatically on the receiver’s Apple Watch. To reply to a message, do the same thing — press and hold the talk button to record, then release to send. You can opt out of live messages whenever you like. If you don’t want to get messages form family, friends, and colleagues, you can mute incoming messages. Open the Walkie-Talkie app, then use the Available switch to toggle availability. If someone sends you a message, you’ll receive a notification. If you turn on Silent Mode, you can still hear chimes and your friend’s voice. If you turn on Theater Mode or Do Not Disturb, it automatically makes you unavailable to talk with Walkie-Talkie. Walkie-Talkie looks amazing, and also annoying. I imagine that a lot folks will try this out with everyone and then start removing contacts from the app. Which is easy by the way — just swipe left on a friend in the list, and tap the red X. You can also remove them using the contacts app on your iPhone.